Francois Ayi, claiming to be the King of Togo, was recently proclaimed by Rabbi Daniel Assur, the rabbi overseeing his conversion, to be a fraud, and his conversion process has been cancelled. This revelation ends the plan to bring hundreds of African kings to Israel for the upcoming holiday of Sukkot, as a gesture of spiritual connection to the God of Israel. 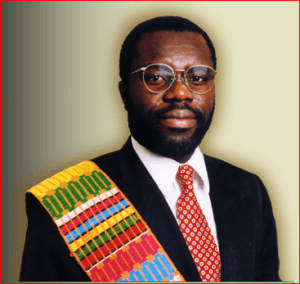 King Francois Ayi, claiming to be the King of Togo in exile, came to Israel as part of his desire to become Jewish. He met with ministers from the Israeli government as well as major rabbinic figures, including Rabbi Chaim Kanievsky. He recently announced his plan to bring hundreds of African kings to the Kotel in Jerusalem during the upcoming holiday of Sukkoth in order to sing out the Jewish prayer, “Shema Yisrael”. When King Ayi first approached Rabbi Assur, the rabbi consulted with other major rabbis, Rabbi Shmuel Auerbach and Rabbi Chaim Kanievsky, to decide if and how to proceed. The rabbis gave their blessing to proceed with the conversion process. Rabbi David Assur, a prominent rabbi and the king’s strongest proponent, publicly declared last week that the King’s professed desire to convert to Judaism was a total sham. 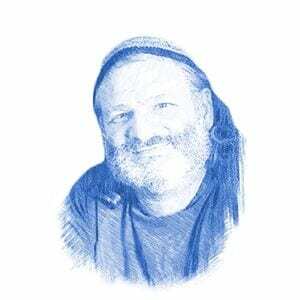 Rabbi Assur is very active in education, including newly religious and helping non-Jews to convert. As such, he was put in charge of Francois Ayi’s conversion process and was in close personal contact with him over several months. The rabbi also began to see deeper problems. Francois thought he was the messiah and had convinced others to believe this as well. “ It is impossible to continue to work with this man if he declares that he is the Messiah,” said Rabbi Asur. “His intention was to crown himself in Jerusalem. Rabbi Assur confronted Ayi about these claims. “He said that God told him to say these things. I was shocked and asked him when he spoke to God. He began to speak as if he was a prophet,” Rabbi Assur said. Rabbi Assur investigated Francois’ claims that he was a king and was dismayed to discover they were a false as his desire to enter into the covenant of Abraham. As the head of Israel Rising, an website that works towards connecting Israel and Africa, David Mark was deeply dismayed by the fraud perpetrated by Francois Ayi. He had spent many hours with Francois, helping him in his professed mission to convert and reconnect the lost tribes that were in Africa. Mark was dismayed by Ayi’s constant demands for money from those he met, amd even more dismayed by people believing Ayi’s messianic pretensions.